Ancient philosophers believed the Earth was made up of four elements, Earth, Air, Fire, and Water. Perhaps Carrara is our pass to a 5th Element, a virtual world. Modern chemists have identified many elements – in fact an entire periodic table of them. Your task is to create an image inspired by an element or elements of a virtual world, or an imaginary world, or even of the real world.. Whether you like your elements bold like ancient fire demons and water nymphs, heroic like comic book Fantastic Four, scifi like LeeLoo Dallas in the 5th Element, morally confused like King Midas's obsession with gold, ethically perplexed like scientists in the 1940s experimenting with atomic bombs, mystically wise like Taoist masters encouraging us to be more like water, or something completely different, we want to see it. There are two categories of entries. 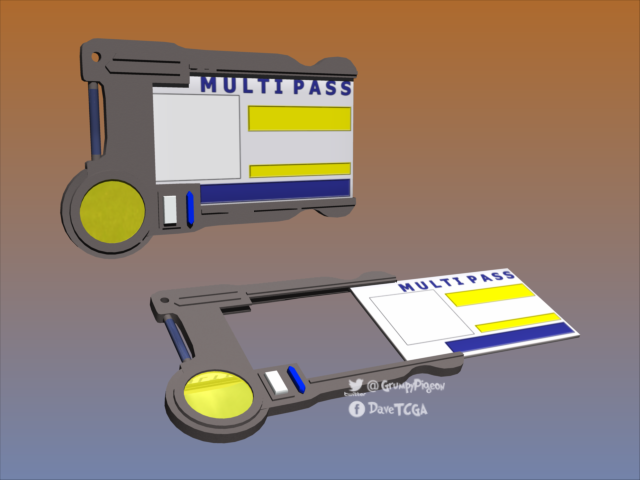 Category A – use a render pass from Carrara's multipass renderer list in some way, any way. Could be for postwork, but does not have to be. Category B – use at least one of the following special Carrara drop-down menu elements – Fire, Fog, Cloud, Fountain, Volumetric Cloud, Old Volumetric Cloud, or Ocean Primitive. 4 entries allowed – yes, that is 4. Two in each category. However, no more than 2 entries may be entered in each category. 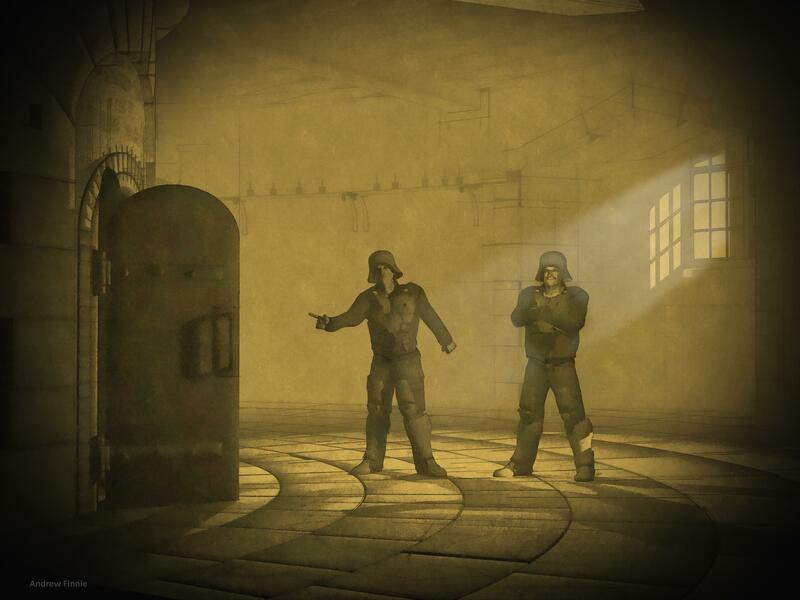 If an image qualifies for both category A and category B, the artist must select only one category when posting to the entry thread. 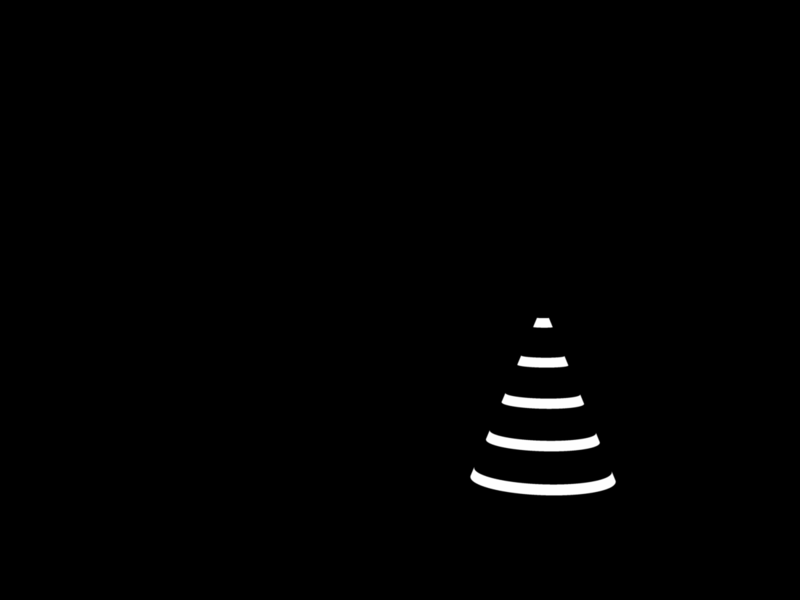 You may not enter 3 or 4 images in a single category (although 3 or 4 may qualify). You can switch around until the entry thread closes for voting. For each entry, you must have at least one post in the WIP thread that describes how it qualifies for its category. The focus is on community learning and fun. You do not have to use the function for the purpose for which it is designed. For example, you could insert the ocean primitive and then change its shader to be a terrain, If you can make a volumetric cloud look like fire, good for you. 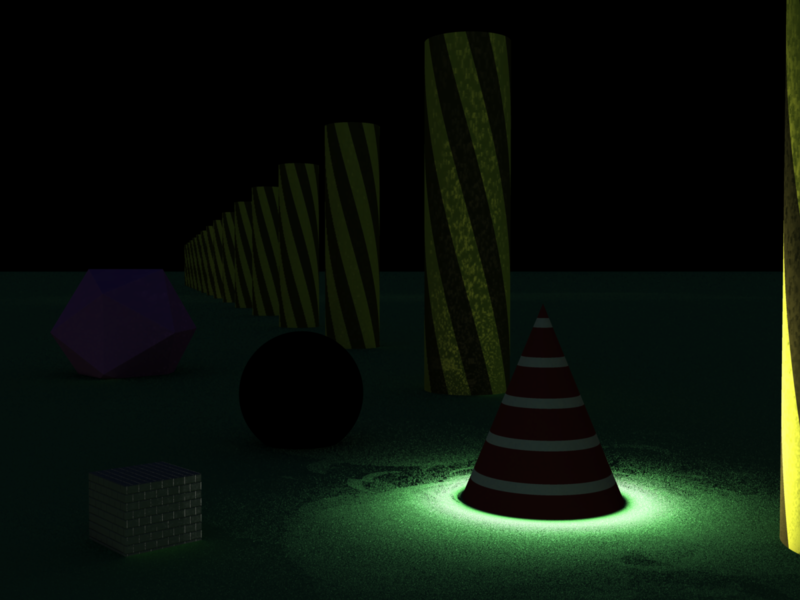 If you want to render a shadow pass from one test render and then use it as a bump map for an object rather than postwork, it still qualifies as using a multipass. January 27, 2019. Midnight Daz Time, Entry thread closes and voting begins. EDIT: Deadline extended to Monday, 1/28, at 8am Daz Utah time. Can't win more than one. Sponsor – one artist will receive one item from the sponsor's store. More later. Have a potential surprise that would be very fitting, but might not work out for complex reasons. More later. I'll try to find some helpful resources and add them to the next post. ah terrific Ted, didnt even see tis sorry! Put on tinking hat and start to tinkering. ah thanks for putting my links up! ah I see https://mustakettu85.wordpress.com/ is now protected and has no access ? what if you have gas burners? Hmm...a cloud issu8ing from a rump? Oh, sorry. Be back when my mind gets home. Glad to see people getting ready. 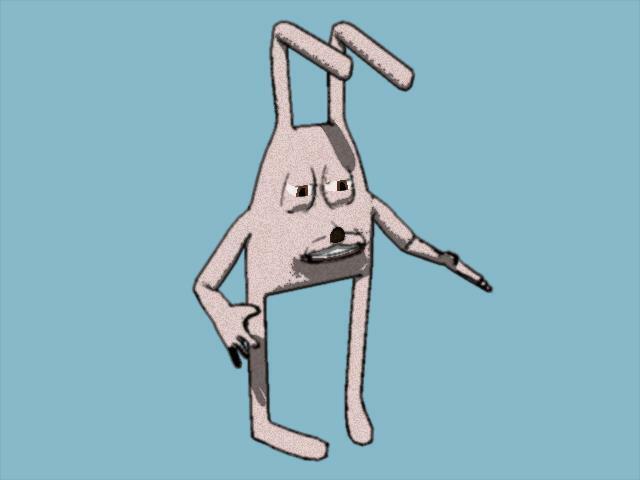 I have posted an announcement in the Art Forum. 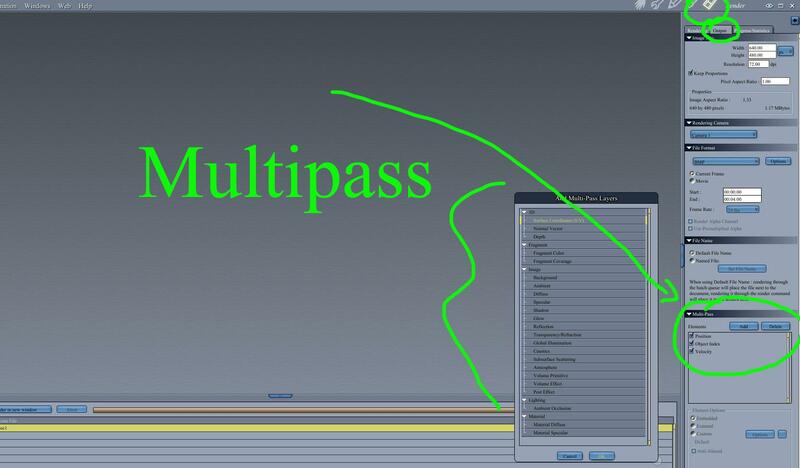 I emphasized the postwork compatibility of multipasses. Maybe it will get someone to take a look at Carrara who has not done so yet. Feel free to stop by the Art forum thread at any time. Mystarra - Cotton candy is an element. Yum. 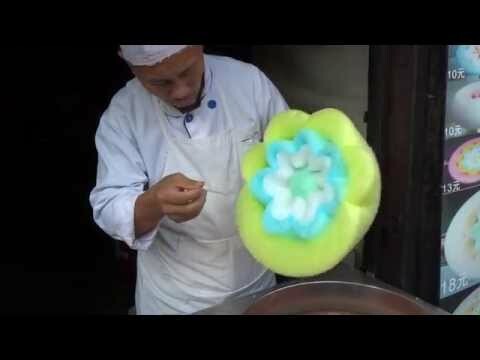 This confectioner in China makes it very pretty. MAJourney - Fart jokes are welcome (perhaps even encouraged in some corners) as long as they are within the TOS. If its good enough for Shakespeare, its good enoughfor challenge 44. WendyCarrara - stovetop element! 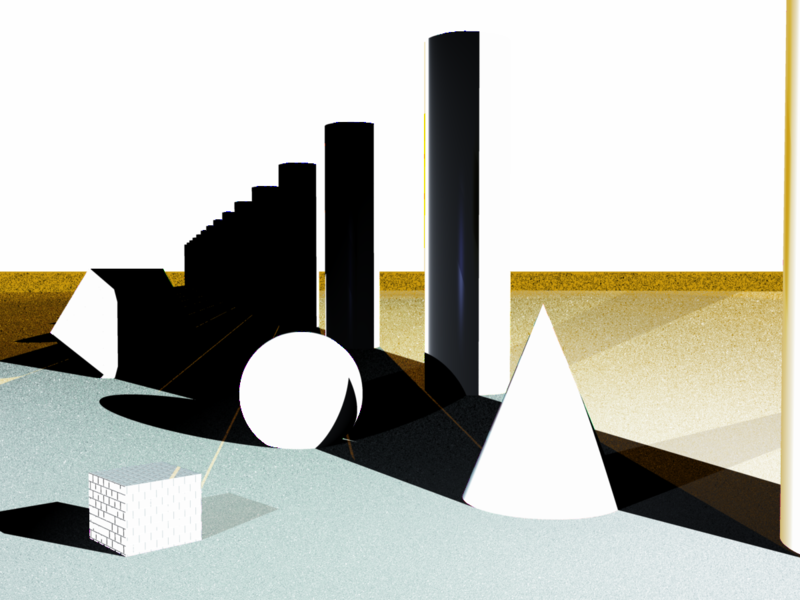 There are so many ways to use element. Glad you are in the lead. Hoping to see the unexpected! Veronika - Thanks for the video link. I am now addicted. I might have to make one of my silly custom figures in his style! Headwax - sorry for the bad link. I should have checked before cutting and pasting. 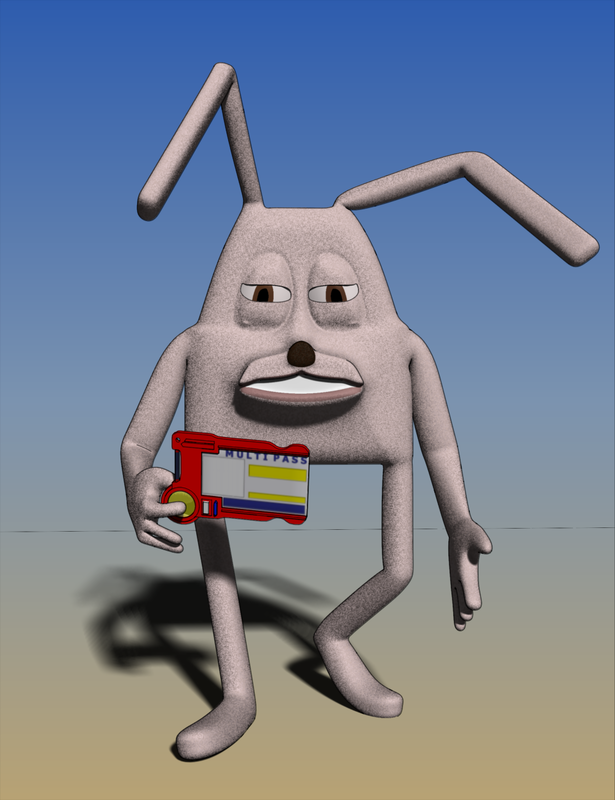 Stezza - Thanks for the wacky multipass model. I will definitely use it for one of my entries. 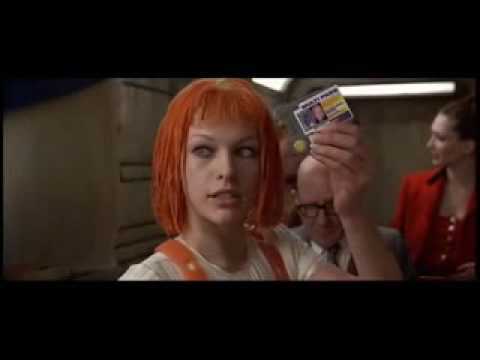 For people who have never tried a multipass, I am attaching a simple test scene. 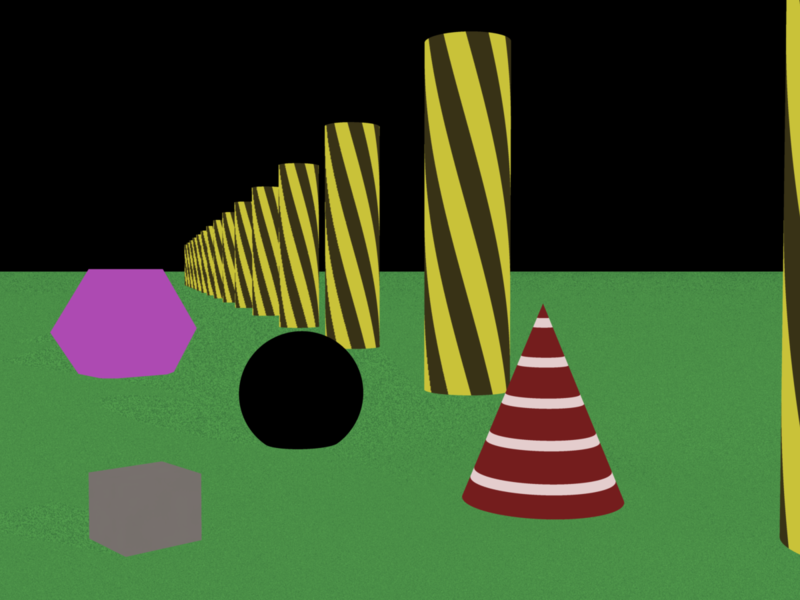 It has a few objects with different shader characteristics and other scene features that give a few examples of multipasses. 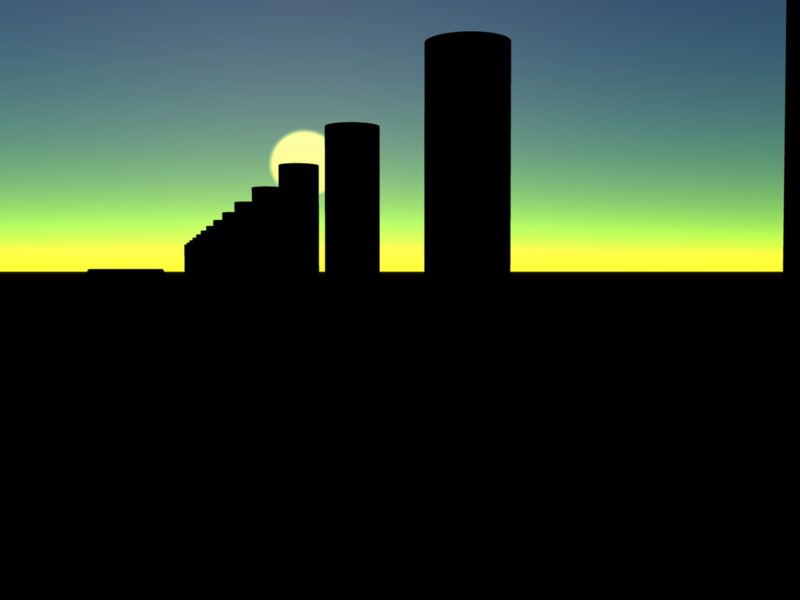 Atmosphere - had used a realistic sky in the test scene. Realistic skies are set in the atmosphere tab of the scene menu. 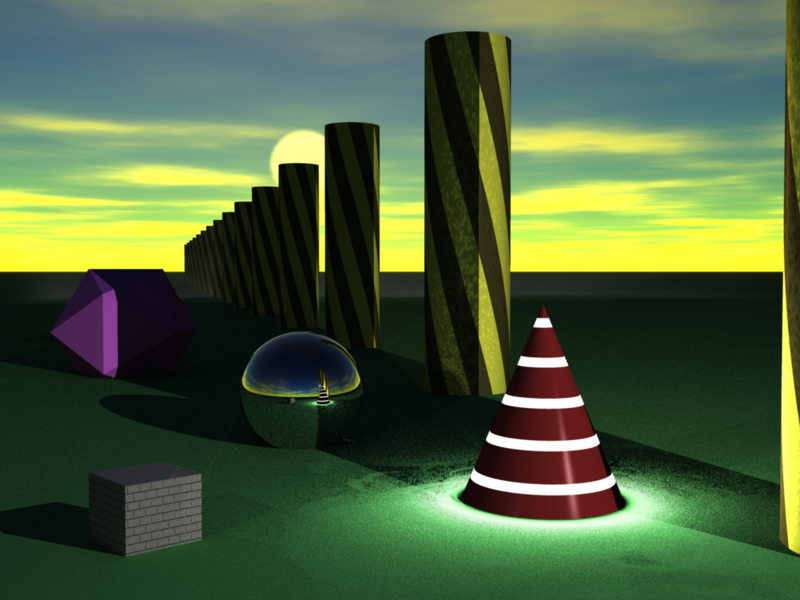 Global Illumination - I had used indirect light and the cone's glow is strong enough to emit some light., in addition to some small scene level GI. terrific work Diomede, thanks for that!!! See @Vyusur's clip above. I have attached a file to this post of my interpretation of the parody alien. Ha! That's great, there are a few refs in there to some Spaceballs scenes as well. 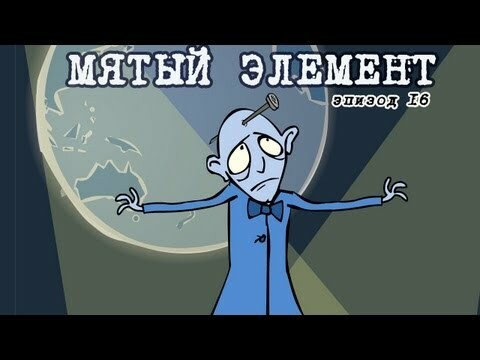 lol... very cool .. they talk very fast in subtitles lol but I did see Australia was mentioned... why?.. I have no idea .. 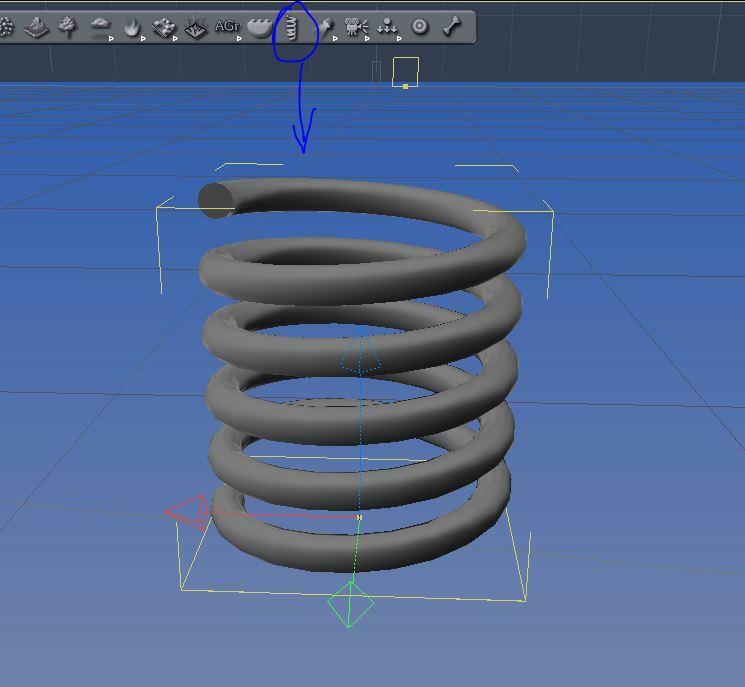 I have started with my idea and it all begins with a spring ..
looking forward to the ideas being posted for this challenge. 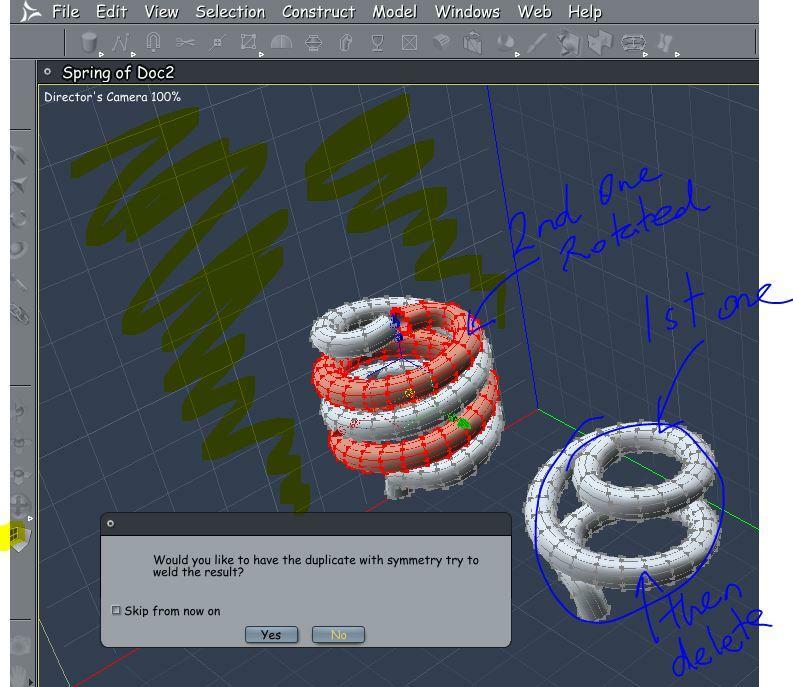 I convert the spring to another modeler to start the modeling.. the spring parametres were adjusted to my liking prior to converting. 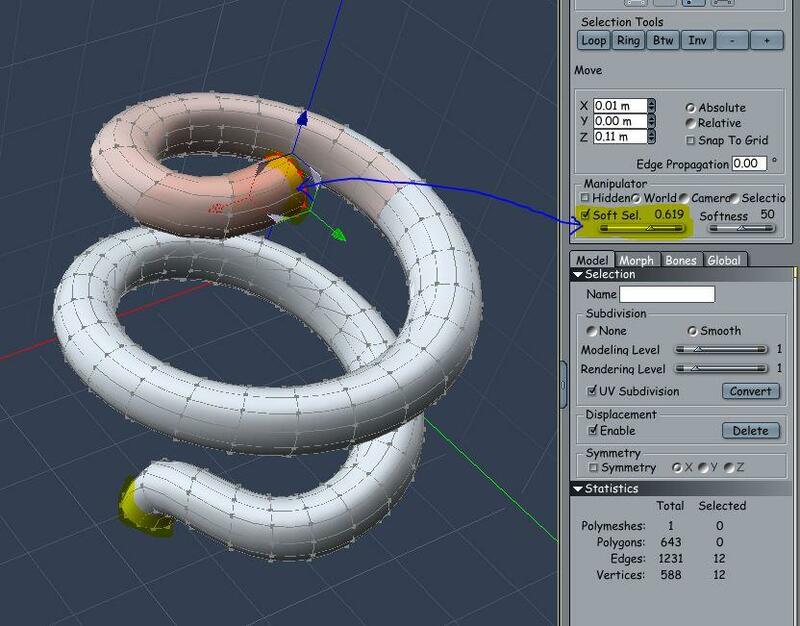 in the modeling room I untriagulate as much as needed then use soft select to move and bend the ends of the spring into a position I require. Once I'm happy with the shape I duplicate it once then duplicate the duplicate and rotate into position and finish off by welding the tops together. I then delete the 2nd duplicate as it's not needed anymore. Stazza, be careful. Didn't you pay attention in Chemistry class? Stezza's entry should be somewhat illuminating !!! "Gentlemen! Here comes the president of Afro-Asian Euro-Australia!" Some kind of omni-president I guess. Excellent, as always. Gives me some ideas for experimenting with the coverage pass and shadow passes. Brash and Moxie may make a toonish appearance in Challenge 44. How fun! Sorry about the elbows and other joint bends. 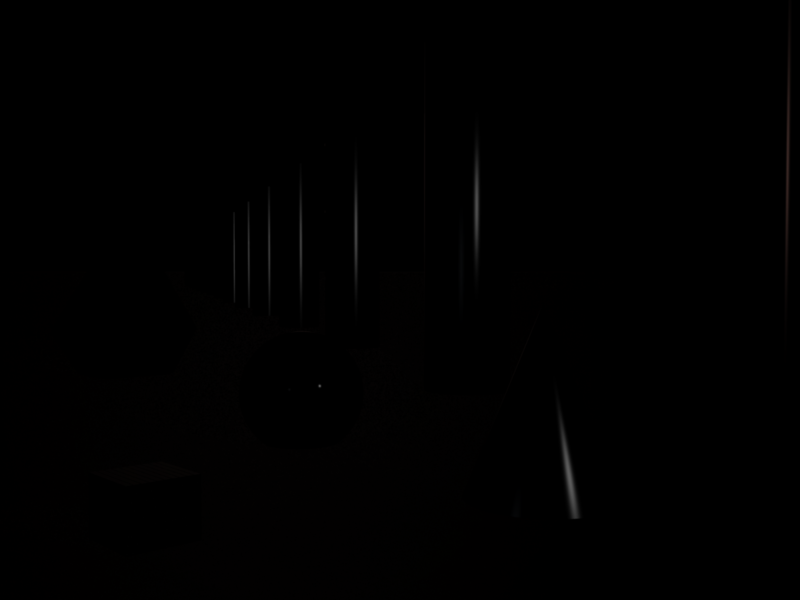 I created empty joint contrl morphs so people could address if desired.